The WHO, in cinemas in October, 2015. 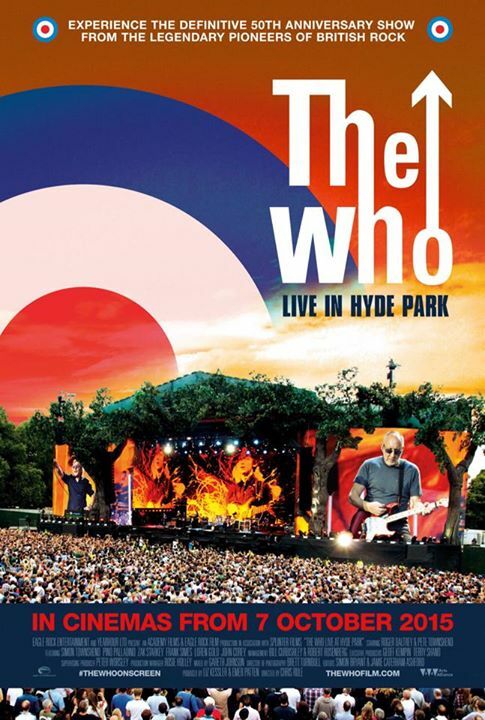 Big news: The Who’s epic 50th Anniversary Tour finale show is coming to cinemas, recorded at Hyde Park this Summer. Come and experience (or relive!) all the greatest hits on the big screen. Plus Pete Townshend, Roger Daltrey, Iggy Pop, Robert Plant, Johnny Marr and others share their stories of the band’s history and influence as legendary pioneers of British Rock.